Last year Nobel Energy announced one of the largest discoveries of natural gas in the company's history. The Tamar gas field was discovered just 56 miles off the shore of Haifa, Israel's largest industrialised port city. Initial estimates put the find at around 3.1 trillion cubic feet, although this figure was later revised as further discoveries were made. The announcement brought about much jubilation in Israel, which has up until now been dependent on foreign imports from countries such as Egypt for its natural gas. This week Nobel Energy revealed that it had made another significant find within the same locality. The company hopes to begin processing gas from the Leviathan field, which it estimates could contain at least 16 trillion cubic feet of gas. It also revised its assessment of the yield from the Tamar fields to a total of 8.4 trillion cubic feet. These discoveries will not only meet Israel's energy requirements for the next 100 years, but are expected to transform the Jewish state into a global energy exporter. Noble Energy believes the Levant Basin, which runs the length of Israel and Lebanon, could contain a total of around 300 trillion cubic feet of gas. Quote: ""This has the potential to turn Israel into a key regional gas player, competing with the likes of Egypt," Guil Bashan, an analyst at IBI in Tel Aviv, said by phone. "This is also a major plus for the economy and for the partners operating the licenses, which can produce value by becoming major exporters." These discoveries not only have the potential to turn Israel into a key regional gas player, but they also have the potential to spark a regional war as Israel's enemies vie for control over the lucrative commodity. The Lebanese government, under the influence of the militant Hizbullah and Syria, has already claimed that Israel is stealing gas from within its territorial waters. The discovery of gas in the Mediterranean Sea has also put Vladimir Putin's nose out of joint, as Russia was hoping to construct a massive network of pipes across Turkey, Lebanon, Syria and Israel, thus extending their sphere of influence over the entire Middle East. Russia has in the past used its monopoly on natural gas as a means to punish neighbouring states like the Ukraine for forging closer political ties with Europe. And Russia has also made no secret of its desire to dominate the Middle East, both politically and militarily. 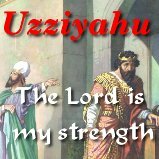 Could the discovery of gas in the Mediterranean form part of the hooks in Leviathan's jaws that will bring Magog and all his cohorts against the land of Israel in the latter days (Ezekiel 38:10-12)? Perhaps. But we can be certain about one thing. The Bible says that it is God's plan that Israel should lend unto many nations and not borrow, and that they would be the head of the nations and not the tail (Deuteronomy 15:6, 28:12-13). This prophecy will soon be fulfilled. Today Israel has one of the most resilient economies in the world. The once desert nation is now a global exporter of fruit and vegetables. And this tiny country of just 7 million people leads the world in the fields of medicine and technology. God is fulfilling His promises to Israel, although they will be more fully realized when the Lord Jesus Christ returns to set up His Millennial Kingdom. Will you be there to see it come to pass? The Lord Jesus said that unless a man is born again, he cannot enter into His Kingdom (John 3:3, 5). Each one of us have been born a sinner, and as a result can have no relationship with a Holy God (Psalm 51:5). 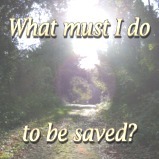 If we are to be in heaven, we need to be rid of our sins. We can't get rid of our sin ourselves, for all sin is committed against God, so only He can forgive our sin (Mark 2:7). Even if we could stop sinning now until the day we die, we would still not be good enough to get into heaven, because we would have unforgiven sins. But God provided a way whereby He could forgive our sins, yet still be righteous, by punishing His perfect Son in our place (Isaiah 53:6). Jesus Christ gave His life upon the cross so that you could go free. Now all those who believe on the Lord Jesus Christ can have their sins forgiven forever. Why don't you trust in Him as your Saviour today?